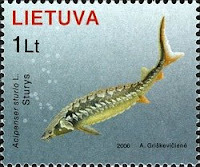 Sturgeon is a beautiful fish, known for its roe used for world class caviar. While I was in Iran sometime ago on a year long study course, my neighbor invited me to his villa in Ramsar, located right on the Caspian Sea. One night, he told me that we would be treated with something very special. 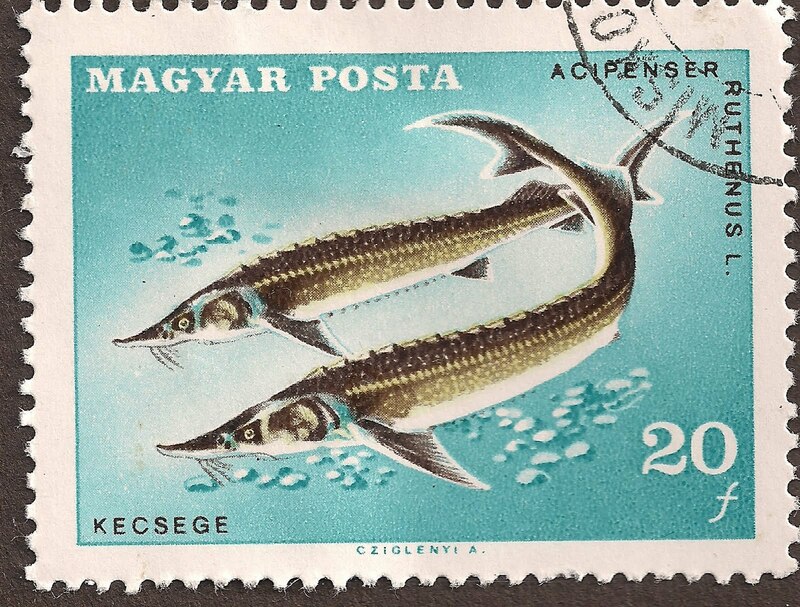 And for dinner that night, we had Sturgeon. 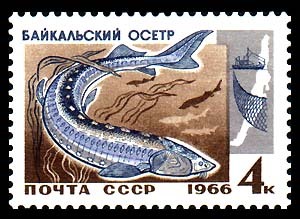 Although, the fishing of Sturgeon is strictly prohibited in Iran, he managed to get one fish for us. And let me confide that I have never tasted something so delicious as Sturgeon. 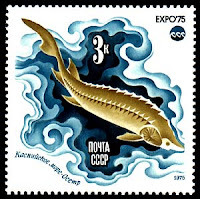 In all Sturgeon has some 26 species, which are found in the subtropical to subarctic waters in North America and Eurasia. In North America, they range along the Atlantic coast from the Gulf of Mexico to Newfoundland, including the Great Lakes and the St. Lawrence, Missouri and Mississippi rivers, as well as along the West coast in major rivers from California to British Columbia. 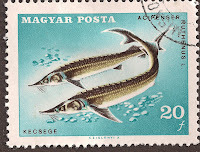 They occur along the European Atlantic coast, including the Mediterranean basin, in the rivers that flow into the Black, Azov and Caspian seas (Danube, Dnepr, Volga and Don), the north-flowing rivers of Russia that feed the Arctic Ocean (Ob, Yenisei, Lena, Kolyma), in the rivers of Central Asia (Amu Darya and Syr Darya) and Lake Baikal. 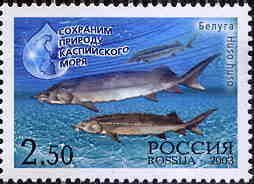 In the Pacific Ocean, they are found in the Amur River along the Russian-Chinese border, on Sakhalin island, and in the Yangtze and other rivers in northeast China. Sturgeons are distinctive for their elongated bodies, lack of scales, and occasional great size: Sturgeons ranging from 7–12 feet (2-3½ m) in length are common, and some species grow up to 18 feet (5.5 m). 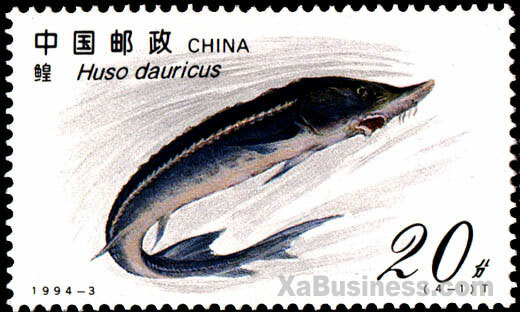 Most sturgeons are anadromous bottom-feeders, spawning upstream and feeding in river deltas and estuaries. 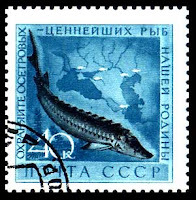 While some are entirely freshwater, very few venture into the open ocean beyond near coastal areas. 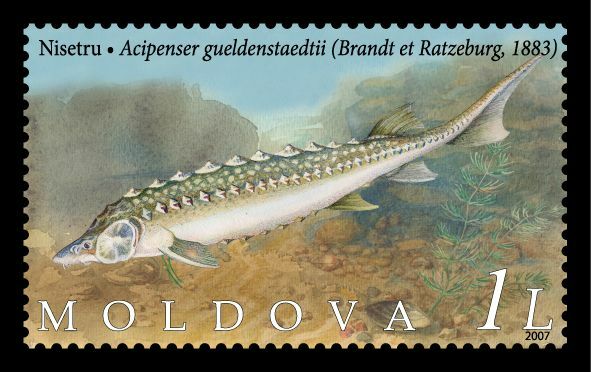 Several species of sturgeons are harvested for their roe, which is made into caviar—a luxury food which makes some sturgeons pound for pound the most valuable of all harvested fish. 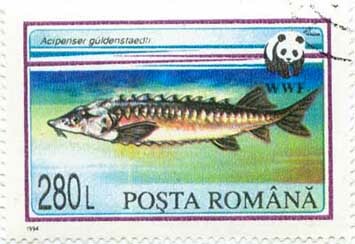 Because they are slow-growing and mature very late in life, they are particularly vulnerable to exploitation and to other threats, including pollution and habitat fragmentation. Most species of sturgeons are currently considered to be at risk of extinction, making them more critically endangered than any other group of species. 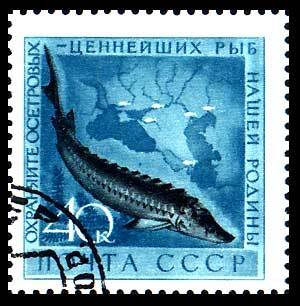 Several countries have issued theme specific stamps on Sturgeons, some of which are as under.